Our own Captain Currysauce (Jesse) checks out the new brushed aluminum and tempered glass InWin 909! The InWin 901 and 904 were great looking cases. Perfect for someone who wanted to create a nice system using your standard, over the counter cooling solutions. InWin has now released the 909, a full tower version, based on the same design we have seen in the 901 and the 904. The case is precision made using aluminum and tempered glass panels, that help you create a powerful build without making any sacrifices. The case features a very unique interior layout, that allows you to mount up to a 360mm radiator in the back of the case, allowing you to create a very clean looking interior, without sacrificing any room for any other items in the case. The exterior of the case is made using 4mm thick brushed aluminum shell, that you can order in either black or silver finish. The side panels are made from 5mm thick tinted, tempered glass. 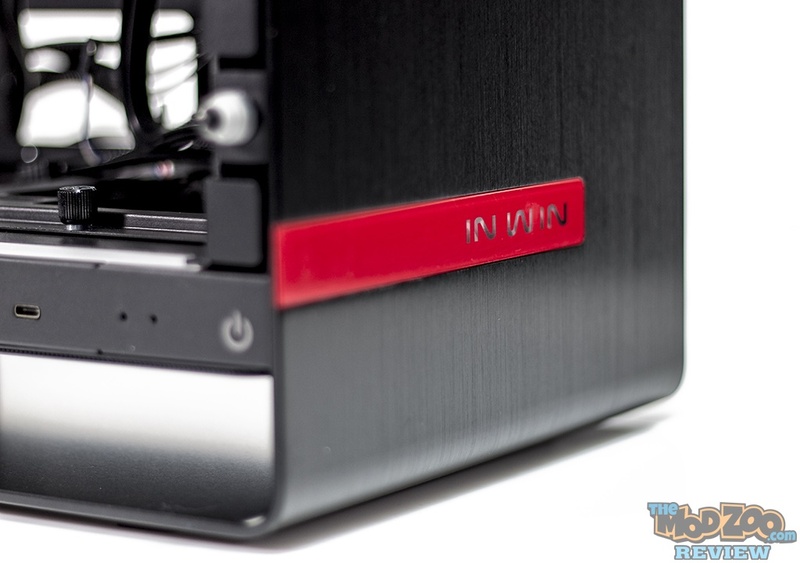 The InWin 909 is also one of the first cases in the market to feature a USB 3.1 Type-C connector: a nice option to have down the line, as we start seeing more and more peripherals supporting the new connector. The case also features a nice built in LED strip, that adds a little bit of light to your build. The major benefit of the 909, is it’s support for a good cooling solution. The front of the case allows you to install up to two (2) 120mm or 140mm fans, with enough room for a 240 radiator in the front or the bottom of the case. There is space to install a 120mm fan in the rear, and Three (3) 120mm fans or Two (2) 140mm fans in the back of the case. Thanks to its unique design, you can easily install a thick 360mm radiator in the back as well. Continue reading as we take a look at all the unique features in more detail in the following pages.